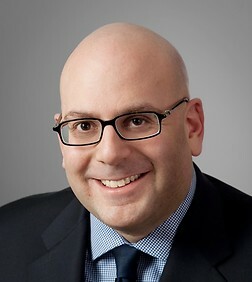 Shon Glusky is a member of the firm’s Executive Committee and a partner in the Corporate Practice Group in the firm's New York office. He is also Co-Chair of lateral partner recruiting for the New York office. Shon focuses his practice on private equity, mergers and acquisitions, debt restructurings, and venture capital. He has completed over one hundred equity and debt financing transactions. He has represented clients in transactions ranging from start-up financings to billion-dollar acquisitions and has counseled companies in diverse industries such as software, Internet infrastructure, applications and services, telecommunications, wireless technologies, biotechnology, energy, manufacturing, apparel, medical devices, healthcare, and transportation. Represented The Retirement Systems of Alabama in its $240 million private equity investment in US Airways Group Inc. Represented Warburg Pincus LLC in its acquisition of Brandywine Senior Care Inc. Represented Deutsche Bank AG in its proposed private equity investment in Stelco Inc. Represented Apax Partners in its acquisition of Plexus Systems Inc. Represented Broder Bros. in the acquisition of Imprints Wholesale and Ash City. Represented Universal Semiconductor Inc. in its sale of Avnet, Inc. Represent Dialogic in its merger with Veraz Networks, Inc. Represented Dialogic Corporation in its acquisition of Cantata Technology Inc. through its acquisition of EAS Group Inc. Represented The Retirement Systems of Alabama in its $500 million debtor-in-possession loan to US Airways Group Inc. and its $75 million participation in the $1 billion American Transportation Stabilization Board guaranteed loan to US Airways Inc. Represented The Retirement Systems of Alabama in its $437 million loan to Alabama River Group Inc.